LS2 saw its beginnings in the 1990s when Arthur Liao created a home-based business making helmets. Over time, the small business started to gain in popularity… and demand increased quickly. So in 1992, Arthur opened a new plant to increase production and hired over 100 workers. At that time, the original brand name was called FENGXING. With a new development team, the success of LS2 helmets continued to grow. In 1997, FENGXING became a pioneer in the helmet industry and adopted the “MHR” brand looking to operate internationally. A short time after this market opening and exponential growth sustained by a new production technology, Arthur sought the help of his brother for future expansion. That is when MHR became a true family business. In 2000, obtaining ISO 9000 certification, MHR owned and controlled all new designs and technologies for helmet protection and manufacturing. MHR’s popularity continued to grow so much that, by 2005, they were manufacturing 2 million helmets a year! Excelling in OEM and ODM products, MHR wished to sell directly to consumers under their brand name. And that is how LS2 was created. The first LS2 helmet was introduced in 2007, at the EICMA exhibition in Milan, Italy. Development was and always is the main guideline. For LS2, “investing in R&D is like stepping on the gas. It enables us to achieve two goals: go faster than the competition and have more followers; breaking ground to become a benchmark.” Designers, engineers and technicians at the R&D centre are all two-wheeler enthusiasts, and they use their knowledge and passion to develop each new model to create more contemporary helmets based primarily on safety and functionality. They spend many hours analyzing every detail of the shells and linings, structural strength, comfort, aerodynamics and ventilation systems. At each step, the goal is to develop a product adapted to every potential user who expects an optimal level of quality, comfort and style from his helmet. No wonder LS2 claims international patents related to special moulding materials and technical solutions. The ultimate touch in the development process lies with the designers who, by interpreting the most popular style and trends of the day, offer various graphics and colours to satisfy a wide range of users, men and women, youth and adults. The current collection includes 25 models for the road rider, road tourist, suburbanite, down-town commuter and urban gadabout, all-terrain biker and the microvan user. All these helmets offer special features, in terms of technicality and look: simple, elegant and sophisticated graphics, alternating with special effects on the designs and colours, a very special composition reflecting “fashion and trend” in a world market. If you are aserious rider and like strong sensations on your machine, you need serious equipment: the PIONEER MX436! This helmet was developed for the off-road professional with the cooperation of LS2 motocross, enduro and Supermoto champions. LS2 visors are built with 3D optically correct “A Class” polycarbonate, a space age polymer with very high impact resistance. 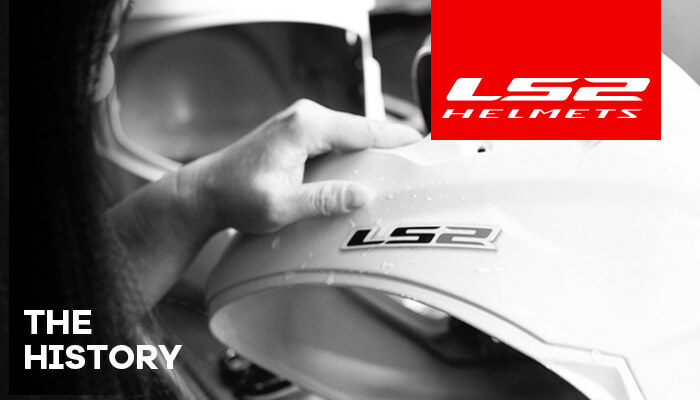 To ensure optimal protection, the helmet must fit you to perfection and LS2 knows that. The Subverter stands out thanks to its innovative features. With a shell made of KPA, the LS2 Subverter is a very light helmet (1200g) while offering excellent protection. Do you need a helmet that breathes? Equipped with 35 independent ports, the Subverter has extreme ventilation with dynamic airflow. In addition, it incorporates an innovative system of synthetic slip. This movement contributes to the absorption of the shock and reduces suddenly the rotational energy. An aggressive look, undeniable comfort and increased security for this newcomer who changes the rules! Drawing inspiration from its achievement, LS2 will continue to write its success story, riding the wave of the future by offering ever more innovative and great quality helmets, taking advantage of their know-how and the most recent technologies. A total commitment to safety, comfort and elegance, which is the distinctive sign of well-deserved success! The increased attention to the brand everywhere in the world, the strong growth in the last few years which helped LS2 helmets become best sellers in many countries, the need to offer a line increasingly receptive to the users in a very demanding market, and the desire to keep growing by creating excellent all-round service for all existing and potential customers, will propel the team to attain global consolidation of the LS2 brand. To see the complete collection of available LS2 helmets, visit Kimpex.com.